Susan Brassard writes about natural health-related topics, complementary and alternative medicine and issues relative to a holistic approach to the aging process. Following a career in business and finance, she obtained a Master of Arts in gerontology and several certifications in energy therapies. She is the author of a workbook and resource guide for older adults. According to the United States Department of Agriculture, as of 2010, at least 80 percent of corn and approximately 90 percent of soybeans grown in the United States are grown from genetically modified seeds. Genetically modified, or GMO foods, are crops grown from seeds engineered to increase yield and lower production costs. Proponents of GM foods say that the higher yields and improved nutritional content are necessary to ensure adequate food for the world's growing population. Opponents say any claimed benefits of GM foods are unproven, and cite the lack of safety studies and the real and potential dangers to human health and the environment as reasons to ban the products. The rise in autoimmune diseases, infertility, gastrointestinal problems and chronic diseases may be associated with the introduction of GM foods. In a position paper by the American Academy of Environmental Medicine, the authors ask all physicians to consider the role of GM foods in the nation's health crisis, and advise their patients to avoid all GM foods whenever possible. The Academy also recommends a moratorium on GM seeds and calls for immediate independent safety testing and the labeling of all food items containing genetically modified products. As of 2010, the U.S. does not require food manufacturers to identify foodstuffs produced with genetically modified crops. Genetically modified seeds are a patented product, and in order to purchase the seeds customers must sign an agreement for use with the seed manufacturer. According to Mike Adams of the Natural News website, Monsanto -- the agritech company that controls approximately 90 percent of the GMO seed market -- prohibits farmers from saving seeds or selling them to other growers. Adams says small, independent farmers whose crops become contaminated by neighboring GM crops, must pay patent fees or risk being sued. As the reliance on GM seeds expands world wide, concerns about food supply and safety continue to escalate. Genetically engineered seeds are identical in structure, and if a problem affects one particular crop a major crop failure can result. For example, following the recent failure of three GMO corn crops in three South African provinces, the Africa Centre for Biosecurity has called for an investigation and immediate ban of all GMO food. Corn is a primary source of food for South African nations. 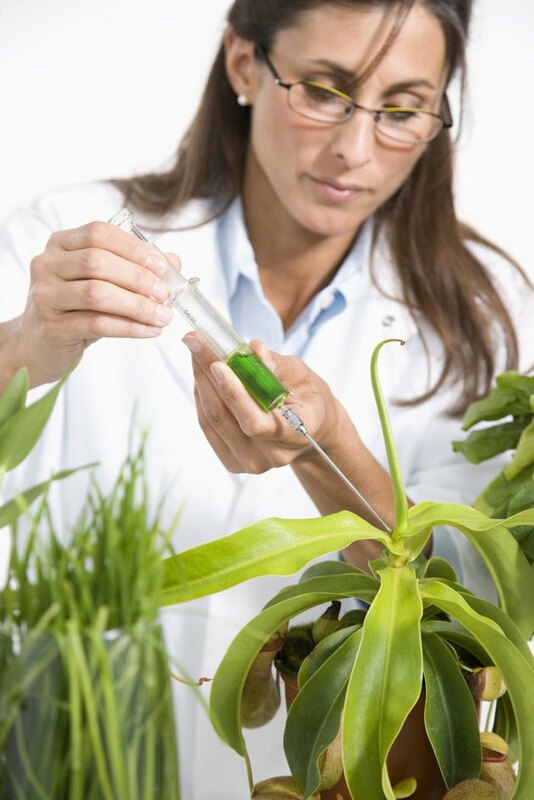 Most GMO seeds are genetically engineered to be herbicide tolerant, resistant to insect infestation and disease. Environmentalists worry that the characteristics of GM crops may encourage farmers to increase their use of herbicides and pesticides, which will raise human consumption of dangerous toxins. GM crops also manufacture their own pesticides, which puts further poisons into humans and soil and may cause unforeseen changes in the environment. Another concern is that toxins contained in the GMO plants may harm other organisms, such as monarch caterpillars, bees and birds. The pesticide found in genetically modified cotton and corn is implicated in the deaths of poultry, cows, horses, sheep and buffalo worldwide. USDA Economic Research Service: Adoption of Genetically Engineered Crops in the U.S.
ProQuest: Genetically Modified Foods: Harmful or Helpful?